FORT LAUDERDALE, Fla. – Nova Southeastern’s starting second baseman Suka Van Gurp earned her second Sunshine State Player of the Week award on Monday afternoon, as announced by the conference office. The Curacao native helped lead NSU to a 5-2 week, finishing 11-for-21 through the seven games. She finished with team highs in both runs (10 and RBI (12) while also drawing a team-high six walks, with two intentional. 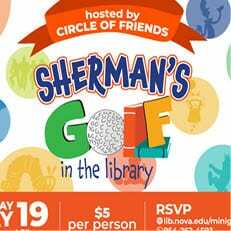 Van Gurp also posted a .607 on base percentage with a 1.285 slugging percentage, tallying four homers and seven extra-base hits along the way. The senior’s top game of the week was a 4-for-4 effort in a 7-2 win over Albany State. In the victory, she drove in four runs and scored three times off two home runs, while also stealing one base. 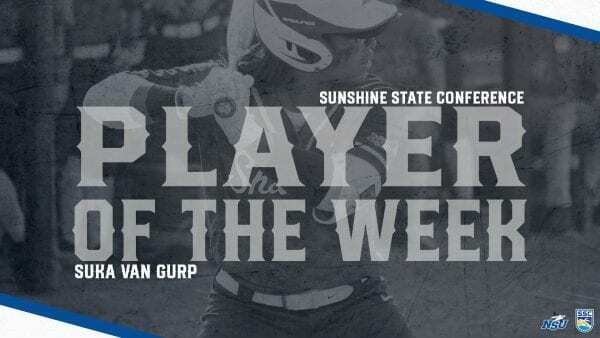 Van Gurp currently leads the squad in most offensive categories including her .412 batting average, 35 hits, 34 RBI, 23 runs scored.847 slugging percentage, .459 on base percentage. In the conference, she leads the league in slugging percentage, runs scored, hits, home runs (8), triples (4) and RBI. 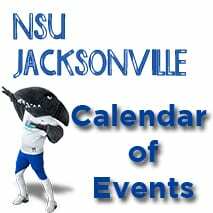 NSU will host Saint Leo in a three-game series this upcoming weekend, starting with a single game on Saturday evening at 6:00 p.m. Follow along with live updates on Twitter by following @NSU_Softball.